ASIA - CHINA - U.S.
Beijing has launched the experiment of using the yuan as a reserve currency in relations with 8 countries. Chinese exporters are asking to charge in yuan instead of dollars, because the U.S. currency is losing value. But China needs to revise its model of development, too much inspired by eighteenth century mercantilism. Milan (AsiaNews) - While the comments of economic observers have focused on what is happening to U.S. public debt and to financial markets overseas, the news media rarely mention what is happening in Asia, almost as if there were not a strong correlation between the two phenomena. But it is logical that a substantial accumulation of foreign exchange reserves in China, Japan and throughout Asia corresponds to an unprecedented supply of dollars, the global reserve currency. But Asia now understands that the increase of money supply decreases the intrinsic value of a currency. That is why China is seeking a possible and rational attempt to decouple Asian currencies from the dollar, as recent news stories report . In practice, China is trying to make its currency convertible and give it a role as a reserve currency. The first experiment is limited to transactions between Hong Kong and the neighboring provinces. 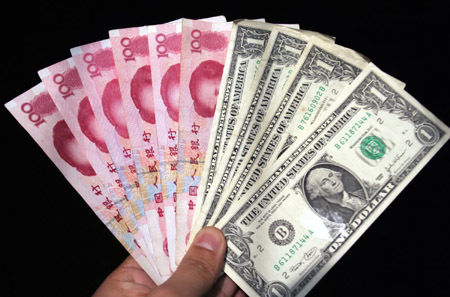 It is also proposed that the yuan renminbi be used in 8 neighboring countries, including Russia. With these countries, agreements have already been signed for the settlement of contracts in the Chinese currency. Perhaps it is no coincidence that the news was released on Christmas Day, when Western markets are closed, reducing the impact on the dollar. In addition, the first weeks of January are usually fairly quiet. This means that although for now the trial is limited, China is preparing to establish full convertibility of its currency to all other currencies. Many in China have spoken out directly or indirectly in this regard: for example, Wu Xiaoling, former vice governor of the central bank, and Zhao Xijun, a professor of finance at Renmin University of China. The current governor of China's central bank, Zhou Xiaochuan, in early December in Hong Kong had indicated that if the value of the dollar fluctuated drastically, its use as a settlement currency (for commercial transactions) would cause problems. It is clear that Chinese exporters, behind the scenes, are asking the government for permission to charge in yuan instead of dollars, which are losing value. Other warnings came in the middle of last December: the increase in purchases of U.S. Treasury bonds should not lead to the supposition that the U.S. can borrow its way out of the financial crisis . Finally, on January 1, a well-known Chinese economist, Wu Jinglian, wrote that China must change its development model , with reference to the paradigm of economic growth driven by exports. We note, incidentally, that even the pope, who obviously has mainly pastoral responsibilities, has said the world must change its model of development  ("Are we are prepared to conduct together an in-depth review of the dominant development model, to correct it in a comprehensive and forward-looking way?" Benedict XVI asked). If, after a trial period, China makes its currency convertible, the consequence is that importing countries must have reserves of yuan renminbi. To get them, central banks around the world will have to divest themselves of U.S. assets and Treasury bonds. The euro has a rather limited role in Asian exchange. In this case, a currency crisis would be triggered by the substantial and artificial lowering of the exchange rate of the yuan, of which we have written in the past . The intention of the Chinese leadership is to correct this undervaluation, of which they are fully aware. The newspaper of the Chinese Communist Party, the People's Daily, summarizes the thinking of China's foreign trade minister, Chen Deming, with the questionable assertion that China does not intend to promote exports by the depreciation of (its) currency . It would have been more correct to say that it no longer does so, since that is what it had done since January 1, 1994, when the Chinese currency was devalued in real terms by about 55%. Western businessmen, first and foremost Americans, attracted by wages at the margin of subsistence and a workforce without rights, on the verge of slavery, have financed the transformation of the country from a Stalinist economy. They provided 80% of investments. Industrial-style development has taken aim at maximizing profits as soon as possible, and therefore resulted in a significant waste of resources, namely labor and raw materials. Today, therefore, production lines have largely been transferred to China. Chen Deming says that if America and Europe are unable to pay, we will continue our expansion by exporting to emerging countries like India and Brazil. China's problems don't end there. In the words of Chen Deming, and of a substantial part of the Chinese leadership, there are signs pointing to attempts to deal with another imbalance that is at the heart of the global financial crisis. Globalization, namely the lowering of tariffs, cannot help but produce imbalances if some countries are counting on growth driven by exports and protect their domestic markets by non-tariff barriers of various kinds. For AsiaNews, we noted in 2004  that this trade distortion severely disrupts the use of resources. With a GDP - gross domestic product - (at current prices) in 2003 amounting to a little less than 4% of the world total, and with 20% of world population, China consumed 31% of the coal, 30% of the ore iron, 27% of the steel, 25% of the aluminum, 40% of the cement. In 2007, the proportion of Chinese consumption was even higher: for coal, it was 41.3%, more than 50% for iron ore, for steel 34%, more than 33% for aluminum and more 50% for cement. In the words of Chen Deming, this reveals, in other words, the persistence among the Chinese authorities of a concept of international trade unchanged since the European mercantilism of the eighteenth century: the wealth of nations is the quantity of gold and silver they possess. The devastating impact of this conception can be illustrated by just one example. According to a "flash" on the Dow Jones Newswire (November 19, 2008) the Chinese central bank is considering increasing its gold reserves from 600 tons to 4,000 . At current prices, 3,400 tons of gold are only 95 billion dollars, compared with reserves at the end of October of 652.9 billion dollars in U.S. Treasury bonds, for total Chinese foreign exchange reserves of over 2 trillion dollars. These rumors are not fully confirmed. If China intended to stockpile that much gold, the price of the yellow metal would skyrocket, but the rural population and migrant workers wouldn't be much better off. We hope that the mercantilist view will not prevail in China. Wu Jinglian writes in the Chinese magazine "Caijing": "Without this transformation [from an export driven development model to one based on internal needs], China could not solve the problems caused by excess consumption of natural resources, or environmental pollution, or the problem of too much investment [in fixed capital, plants and machinery] and insufficient domestic consumption, or the problem in the financial sector [the Chinese banks]." See DJNewswire cited by China PBOC Mulls Raising Gold Reserve Tons By 4000 - Report. Dow Jones keeps stories in its public archive for only two days. The items in square brackets are the author's clarifications.